With the Summer holidays officially off to a roaring start, make sure to pack some of these practical essentials before you head off on your next weekend away. Let the good times roll! 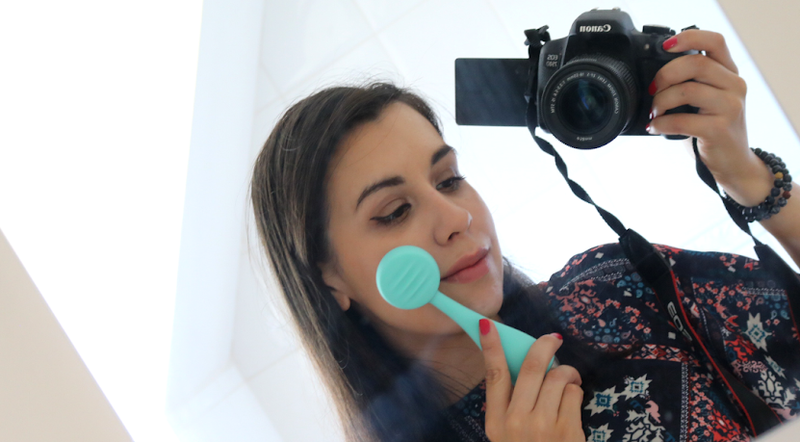 I'm sure you don't need another beauty blogger to tell you to slap on the sunscreen before you go outside, but judging by the amount of painfully sunburnt people that I've seen recently, the message is still not getting through to some members of the public (sigh). So don't be an idiot - protect yourself and your family with a good quality sunscreen and reapply it every two hours. 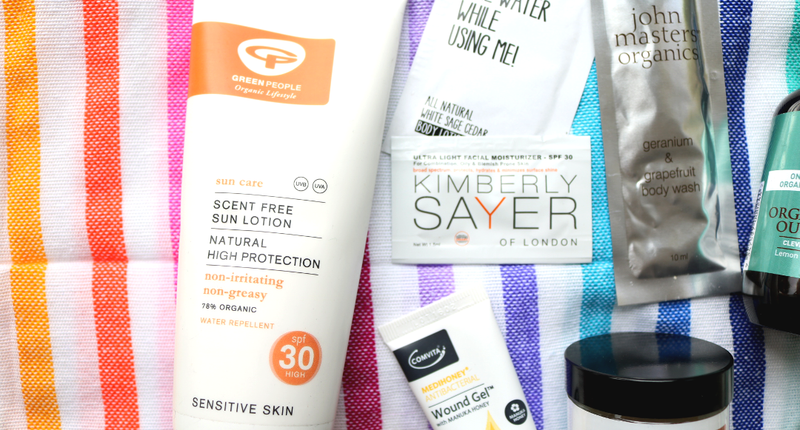 One of my faves is Green People Scent Free Sun Lotion SPF 30* (200ml, £22, link) which protects against both UVA and UVB rays, is fragrance-free and suitable for sensitive skin. 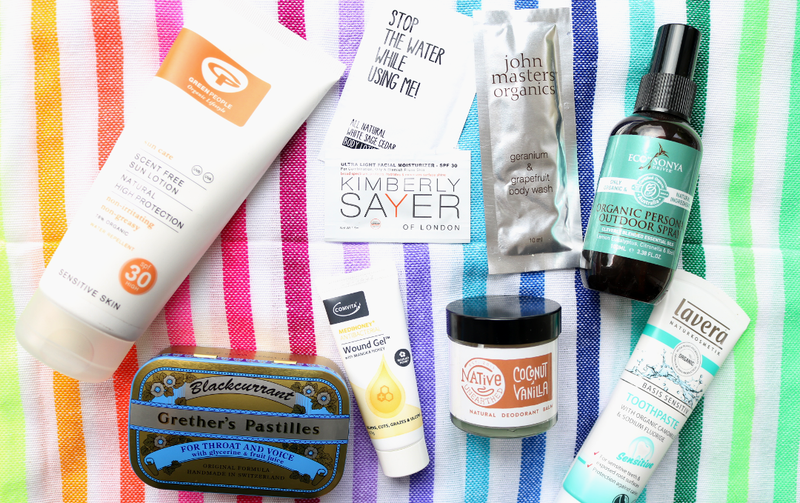 If you're a skincare or beauty fan, chances are you'll already have a stash of samples hiding away at the back of a drawer somewhere. 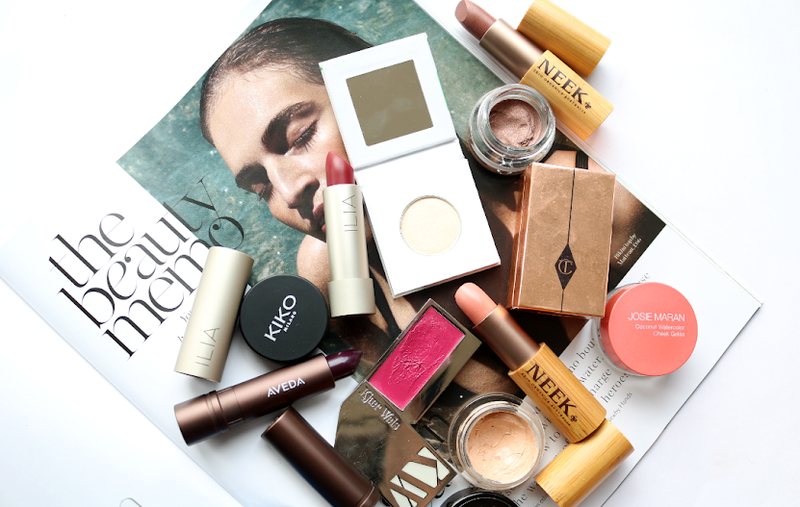 You know the ones - they pop up in beauty boxes, GWPs and are often added to your online orders, but are easily forgotten about. Dig them out and take them with you! You'll save loads of space in your travel bag and have more room for the important stuff like duty-free bottles of booze ;) Don't have any samples? 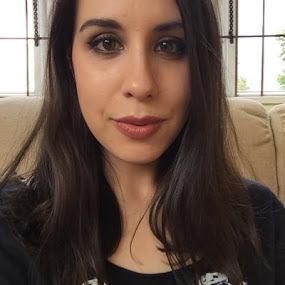 Check out LoveLula's sample selection here. One holiday essential that I always pack is a multi-purpose wound gel which is basically like a natural first aid assistant in a tube. Comvita Antibacterial Wound Gel* (25g, £9.98, link) can be used on minor burns, cuts, grazes, insect bites and ulcers, as it contains sterilised medical grade Manuka Honey which promotes wound healing and reduces the risk of infection. You can also use it on eczema and scratch wounds to prevent them from getting worse. Keep yourself smelling sweet and fresh all Summer long with a natural deodorant like Native Unearthed Coconut & Vanilla Natural Deodorant Balm* (60ml, £6.99, link). This concentrated formula has a blend of Shea Butter, Coconut Oil, Arrowroot and Vanilla to neutralize underarm odour, without blocking your pores with nasty chemicals. It might just be me, but I've lost count of the number of times that I've remembered to pack my toothbrush but forgotten the toothpaste, so take this as your reminder to pack a tube. I'm enjoying using Lavera Basis Sensitiv Toothpaste* (75ml, £4.95, link) which has been specially developed for sensitive teeth and is ultra-gentle, plus it's minty fresh! A lot of mainstream insect repellents contain deet which is an ingredient that some people, especially children and babies, can have allergic reactions to, as well as other undesirable side effects. 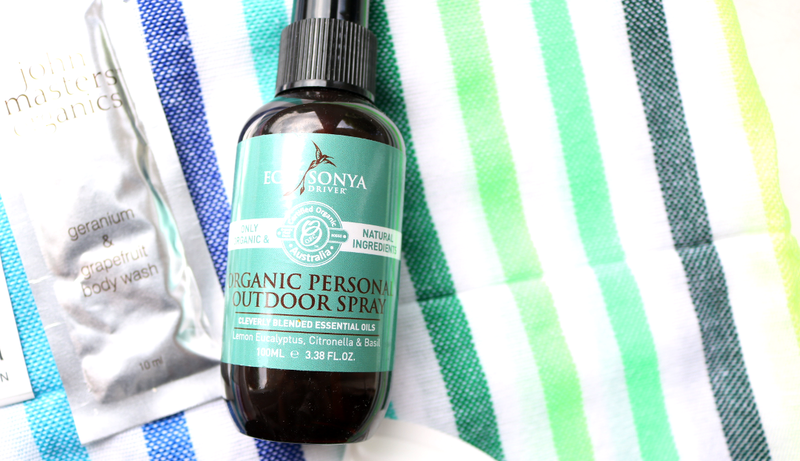 Eco By Sonya Organic Personal Outdoor Spray* (100ml, £14.04, link) is 100% deet-free and instead is made with only organic and natural ingredients. It utilises the properties of several essential oils such as Citronella, Basil, Lemon and Eucalyptus that have all been proven to repel biting insects, and it smells lovely and fresh which is a pleasant added bonus. Holidays and festivals are often the best times to catch up with friends and family that you haven't seen in a while, so make sure that you keep those conversations going long into the night by packing some soothing throat sweets. 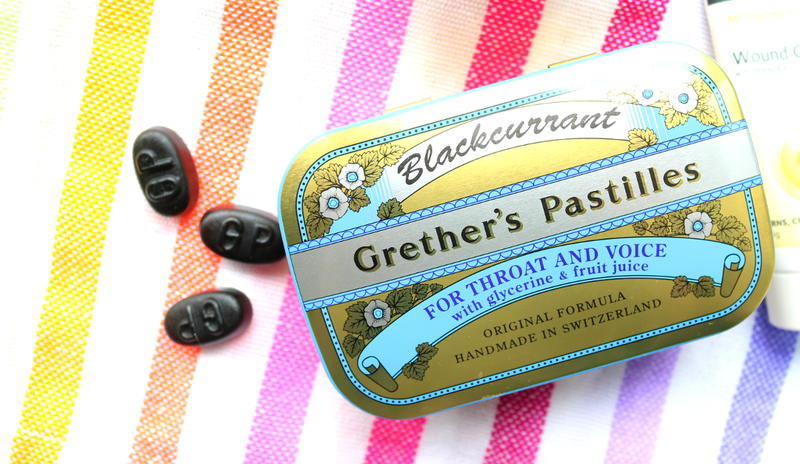 These ones from Grether's Pastilles* (110g, £7.49, link) are made to an original recipe that's over 150 years old and features a unique formula which coats your throat with a protective layer, keeping your voice strong and preventing a dry mouth. They're available in a range of flavours, and I can vouch that the Blackcurrant ones pictured above are particularly yummy. What are your practical travel essentials?